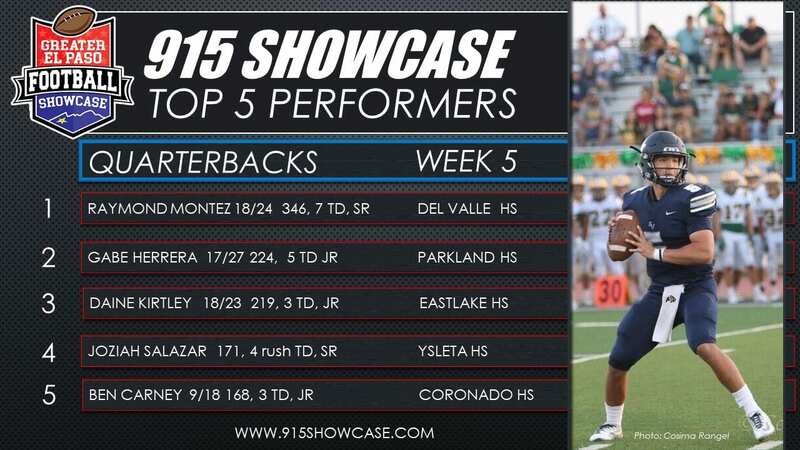 Each week the Greater El Paso Football Showcase will feature the top teams and athletes in El Paso County. 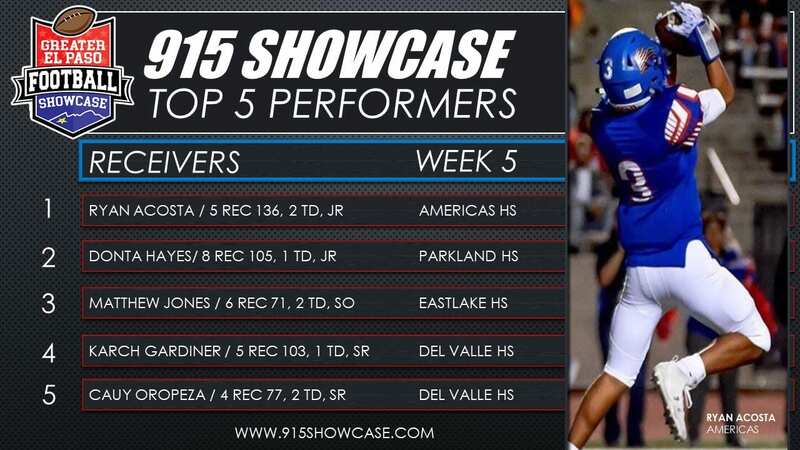 Team of the week, player of the week and our Top 5 performers will be posted here on our website. 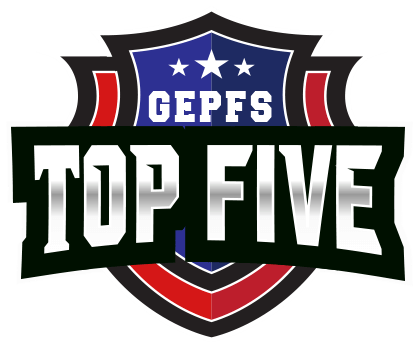 Our Top 5 Performers will rank weekly stat leaders in the following categories: QB’s, RB’s, WR’s, & Defenders. As more stats become available we will add more categories to showcase all the players giving it their all on Friday night. Be sure to follow us on all of our social media accounts for special announcements, important dates, and our highly anticipated 2018 DRAFT Watch list. 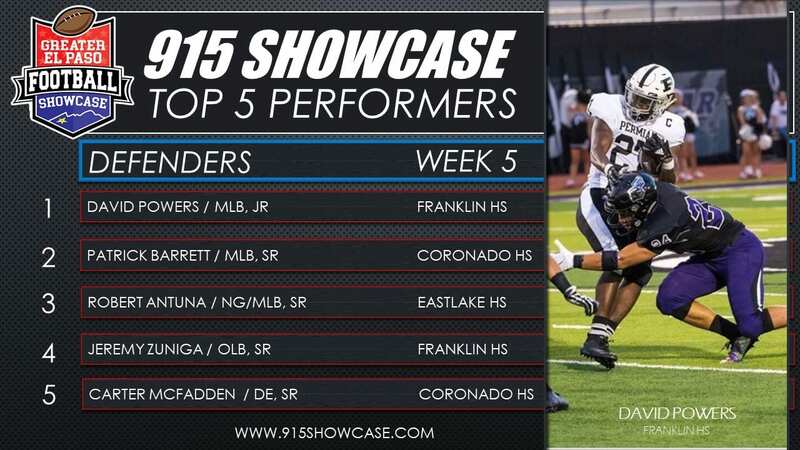 Here are last week’s top performers that were selected for their outstanding performance and effort on the gridiron! Congratulations to these outstanding individuals. 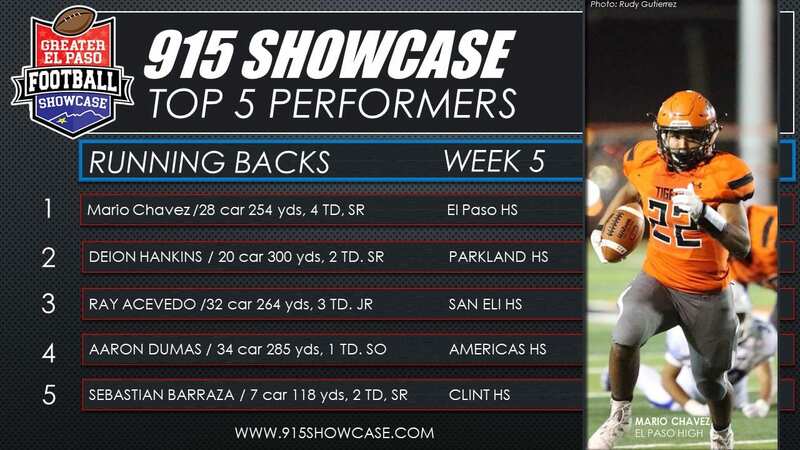 Here our last week’s top performers that were selected for their outstanding performance and effort on the gridiron! Congratulations to these outstanding individuals.